R2005, Patrick O'Connor. 32", M. Falls appear pink but consist of rose-plum and white veining. Standards are whiter, and the rose-plum veining is less pronounced. Signal is a bright gold line surrounded by a thumbprint of white veined gold. 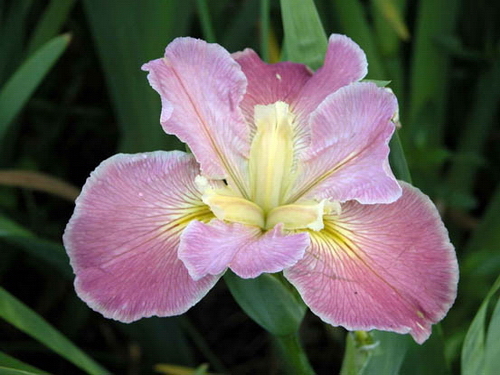 All petals are edged white, more noticeable in pictures than to the naked eye. Sunshine Bridge x Kristi G.